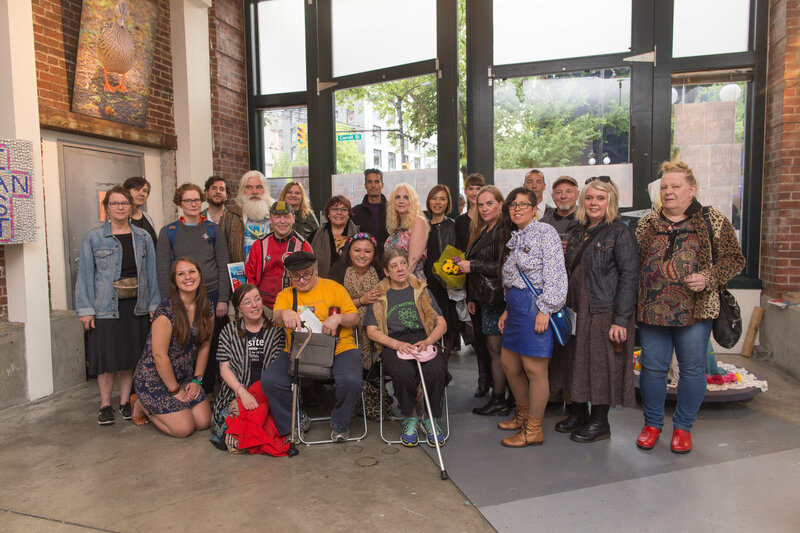 Vancouver Foundation, Carnegie Community Centre, and all the staff, volunteers, and artists connected to the DTES Small Arts Grants program were so honoured and proud to share with you the 2017 Group Show exhibit at our Opening Reception last week! As many people pointed out, the 2017 Group Show is the result of hard work and energy from a lot of people—from artists to administrators to the folks we pass as we walk down the street. We may be family, we may be friends, but we are always neighbours. We all make up this neighbourhood, this community, and we all had a part in contributing to the 2017 DTES Small Arts Grants Group Show. Thank you to Kayla Isomura, our Photographer, who captured in her photos of the Opening Reception the incredible vigour, humanity, and love within this community. Check out the photos on our Facebook Page here!